Claude Makelele believes Chelsea loanee Tammy Abraham can follow in the footsteps of Ivorian legend Didier Drogba to become a Premier League great. Makelele is certainly a Premier League legend in his own right and is currently mentoring Abraham at Swansea City where the 20-year-old striker is spending a season on loan from Stamford Bridge. Abraham faces a tough task breaking into the first-team squad of an elite club like Chelsea, and Makelele has offered some key advice to the youngster if he wants to replicate some other great strikers who’ve represented the west Londoners. Talking to the Evening Standard, the former France international discussed Abraham’s progress, saying: ‘He’s young and he has time on his side. He wants to be one of the best strikers in the Premier League. Abraham has already registered two Premier League goals for Swansea in this season’s campaign and is proving his worth in top flight football after a year on loan in the Championship with Bristol City. The striker’s quality was easy to see last year with him proving vital in keeping Bristol City in the second tier of English football. The young starlet did not shy away from the Championship relegation battle scoring an astonishing 23 goals in all competitions for the Robins. While Makelele has an exclusive insight into Abraham’s talents at Swansea City alongside manager Paul Clement, to urge the young Chelsea star to mirror Drogba’s achievements is certainly an ambitious target. 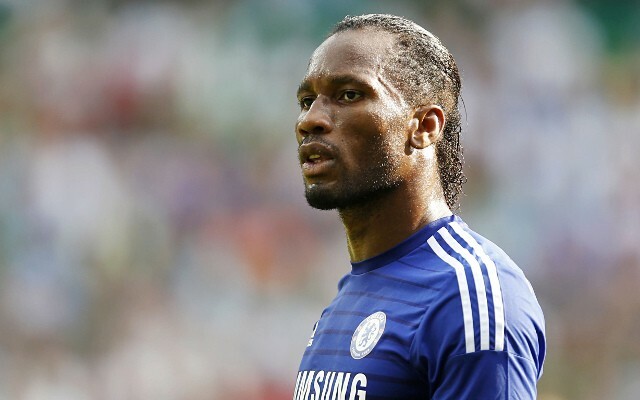 Drogba won every domestic trophy available while at Chelsea and was also the hero in their iconic Champions League triumph over Bayern Munich in the 2012 final.